I thought Bill DeSimone illustrated impingement syndrome very well in this particular video. Looks like he's got a new (?) youtube channel. I wish we could still have Bill around but not get into arguments. I guess his philosophy of training is so different than most peoples' that it would not be likely. He seems like a great guy, and is obviously very knowledgeable. I'm sure it would be hard for him to see people put up workouts with exercises that he thinks are risky without saying so. None the less, it would be good to have him in on general discussions and such. Yea I like his input. I think that what he sees as dangerous is just potentially dangerous and/or dangerous for people with certain genetics. I think it may also be that heavy squats and deadlifts are harder on your body than we realize, and should be done less frequently with lower volume. I have found it doesn't take much to fatigue and overtrain my lower back. I think it's also taxing on the CNS. I tend to use those exercises with less weight to work abs and lower back, as well as functional movement. Then I do leg press and that sort of thing to work legs. My legs and glutes just seem to be stronger than anything else. I dunno, I personally didn't really like the guy. He kept on dismissing KPj's arguments by saying things like "you're too young"
robertscott wrote: I dunno, I personally didn't really like the guy. Yip, despite my "argument" not originating from me and really coming from people of similar age and experience as him. And not just one person, or even one industry, or area of study. I had decided if he did stay around I wouldn't get into any more debates. Just seemed pointless. Although since he vanished shortly after and also after following his FB page for a while, on top of that crazy "squats worse exercise in existence" video made by his associate and seemingly number one fan which his book was plugged in, I also suspected clever marketing, too. I do second that he seems like a really nice guy and definitely has a great way of explaining how joints work, though. Jungledoc wrote: I wish we could still have Bill around but not get into arguments. I guess his philosophy of training is so different than most peoples' that it would not be likely. He seems like a great guy, and is obviously very knowledgeable. I'm sure it would be hard for him to see people put up workouts with exercises that he thinks are risky without saying so. Bill's focus is on "Don't do ANYTHING to harm yourself". He is an over protective mommy. That is a great philosophy if your objective is mediocrity. However, his training philosophy won't take you any further than mediocrity. How far you go is dependent on pushing the limits. In some areas, I am below mediocre. My current employer once had me putting fitness equipment together. I told him that I wasn't good at putting things together. He said, "You will get better at doing it." I replied, "I chose NOT to get better at it." At the fitness equipment company I sell for, I am considered the Villiage Idiot when it comes to putting it together. I am only certified to use Duct Tape. God, I love Duct Tape, you can fix everything with it. The bottom line is we all have choices. Bill's choice is the "Don't do anything to hurt yourself". No one ever got anywhere by playing it safe. To succeed at anything you have to push the limits. One of the keys in pushing the limits is not to cross over the line or not too often. The problem with that is you don't know until it's too late. With that said, my greatest area of expertise is in, "DON'T do this". I hosted this clinic Septemeber 15th. We had seven speakers. Some of those addressed utilizing the correct form in lifting. I am technique proponent. Casey followed one of the speakers addressing preforming movement correctly. Casey agreed and added on competition day, the ONLY thing that counts is getting the weight up. Every lifter at some point has a lift go off track. Rather than simply put the weight down, lifters fight to get the weight up. That philosophy is contradictory to Bill philosophy. Bill has a place in the field of training. It's just NOT in the area of sports, unless it rehab work. Unfortunately, that doesn't apply to me unless the person stating it is 90 year old. I am older than Bill and have experimented at my age with some really off the wall training methods. Again, Bill has a overly protective mommy syndrome. Bill knew it all. You can't argue with a crazy person. As a crazy person myself, I know that. IE, my Mike Boyle rants with you have proved that! Although since he vanished shortly after and also after following his FB page for a while, on top of that crazy "squats worse exercise in existence" video made by his associate and seemingly number one fan which his book was plugged in, I also suspected clever marketing, too. I had forgotten about his rant about that squats being the worse exercise in existence. If that were true, there must be hospitals filled with crippled squatters. However, there are NO "House of Cripple Squatter Hospitals" that I've found. Bill was a bit of a nut with some thing like squats. He need to work with rehab people. Bill needs to work with the elderly who just want to be albe to go the the bathroom, take a crap and get off the pot, rather than sitting 8 hours on it waiting to be rescued. It's interesting the way you summed this up since this is one of my main motivators to keep going. My father was about my age when he started to need help to get out of a chair. He died about 3 years later. That's the downside of not squatting. I know he gave alternatives, proper leg press (how many improper leg presses have you seen?) and hip squats? How realistic is this? I'm going to keep squatting, for the sake of keeping my back healthy because I've seen the risk of not squatting. On the other hand, his bio-mechanical explanations of exercises like pull-ups help you know where the limit is so that you know when you're pulling out to pass. A good video and even better discussion afterwards. Thanks, guys. The irony (in my case, at least) is that pull ups have hurt my elbows more than my shoulders. But following Bill's shoulder width neutral grip protocol makes pull ups less stressful on my elbows. I was treated with as much — if not more — distain by Bill as anyone in that squat thread, and I completely agree that the guy is either unwilling or unable to have a meaningful discussion. However, irrespective of my personal and professional disagreements with the man, a good 40% of my clientele are over the age of 60 and already have movement restrictions and were in danger of losing their independence. In these cases, Bill's content proves to be very valuable. I'm pretty confident Kelly Starrett is a massive d-bag in real life, but I still think most of his content is genius. I really enjoy listening to his explanations of single-joint biomechanics. I just can't get that way of training to make sense from where i'm coming from. If I look at it from another perspective, ignore "Movement", and squint a little, I can see the value in it. If I think of the body as a collection of single joints vs one unit, it makes sense. Basically, for me, it's Biomechanics through a bodybuilders lens. I can't see the value in it from a rehab perspective, either. In fact, particularly from a rehab perspective. If you had a client who was quite old and quite injured, then you could argue that with his method of training people, it would be difficult to make them any worse, whilst still allowing them to get some exercise in and feel better about themselves which, in reality, is miles better than most personal trainers, who would almost always make things worse in this case. Super slow partial ROM (mostly) machine based training is unlikely to do so, at least not for a while, anyway. This is where i'm able to see value but, it's my personal opinion -not fact - that this also takes personal training a step back rather than forward. In my mind, the thought process of "not making things any worse" just doesn't work. I want to make people better. Also, if someone is that injured, they don't need a Personal Trainer, they need a medical professional/physio/whatever. If they're THAT bad, then the trainer should refer out. I think banged up clients are one of the biggest problems in the personal training industry. Trainers for the most part aren't equipped to deal with injured people. 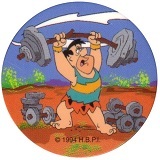 However, more and more people are injured, and a lot don't even know it until they step out of their comfort zone and try out some exercise - and this is where Quasimodo decides to deadlift, hurts his back, and goes on internet forums warning everyone not to deadlift, because, "look what happened to me?". I think Trainers can either go 2 ways with this. We take a lot less risks, dumb everything down, and create training methods where it's almost impossible to suffer "catastrophic injuries" (overuse is another post). Or, Trainers get a better understanding of how the body is supposed to move, get better at coaching things properly, get better at understanding what people "need" vs what they "want" and as such, get better at writing programs, get better at knowing when this isn't a trainer thing anymore, it's a medical professional thing and use methods to try and control, predict and manage risk. I'm probably more of an idealist than a realist. Maybe Bill is real and i live in a dream world. For me there are some amazing things happening with the industry just now. I think the Training world and the Rehab world are learning from each other and working with each other, which means both perspectives can follow the same "rules" - we all move the same whether you're training, seeing a physio, or seeing an orthopedic specialist. Movement can be measured, it can be managed, it can be improved, and boundaries can be set, and all of this can and should dictate training and more so, whether that person should even be training or not. You need to make the car road worthy before you put it out on the track. Take a problematic car that isn't road worthy, only allow it to be driven slowly, no harsh acceleration or breaking, and no crazy cornering, and yes, you'll get more miles out of it. However, if you either dismiss or don't understand the importance of Movement, then none of this will make one bit of sense. I think that's the problem. If you take the same older and injured client mentioned earlier, and you think movement, and think Joint by Joint approach (which to me is, "the rules"), then most of what is "Congruent" doesn't make sense. A leg press doesn't make sense. I couldn't justify putting a slow tempo leg press or pec flies or slow bicep curls into that persons program. Frankly, if I was training that person in conjuction with the physiotherapist I work with, he would most likely verbally assassinate me. I have the same criticism for physiotherapists who disregard the training world, btw. I think that's just as bad (a step back, rather than forward). I'll have to bow to your superior knowledge of DeSimone's work, KPj. As it stands his YouTube channel has 3 videos, and the video on congruent exercise contains primarily compound movements. I've read some of his interviews and they were markedly different from his behavior here, e.g. But other guys my age seem to be able to continue to handle heavy weights in big movements at high intensities, so it may be an individual thing. I haven't seen that leg press vs. squat video so I may have a more positive impression based on that more limited exposure. Yeh, on the last thread regarding squats I wrote him off instantly after watching the video. Then he joined the forum and started answering questions, so I felt a little out of line and spent some time going through most (if not all) the material available on line before commenting much more. I didn't (and wouldn't) buy the book, though. His videos are very easy to watch and, as I said, quite informative on the biomechanics side, so it wasn't really a chore. In other words I don't dislike I just disagree, and at the end of the day, my opinion is just another trainer/lifters opinion. He's not quite anti-compound movements nor is he anti-free weights, I believe. And I think one of the BB squat alternatives is the Belt Squat, it's really the loading (on the shoulders) he seems to have most of an issue with. I missed this guy here, I guess. But his explanation is pretty good. I train in a "safety first" environment myself, which is why you'll see me post more about Prowler pushes and alternatives to spinal loading and neutral grip pulls and pushes than about squats, deads, and O-lifts on my blog. The trick is not "safety at the expense of everything but "the safest way to get where you want to go." The safest way to train for my clients would be at home, because that would avoid the chance of a car wreck on the way. As an example, I'd say my goal is to help clients reach their goals in the safest and most efficient way possible. It's a cost-benefit analysis for each client. I don't train my 17 year old trying to get big and strong the way I train my 60 year old trying lose weight post leg surgery. You can't simply say that, say, squatting is bad for that 60 year old because his lack of ankle/knee/hip stability make that an unacceptable risk, so the 17 year old can't squat. That would be as bad as me eliminating all fast cardio work because I have asthma so I know it can be risky. Just my thoughts. I did like the video though. I think pointing out that not everyone is the same is pretty crucial. Also, and i've tried to resist but, whilst I do agree that it was an excellent explanation of impingement, I don't really like how he is teaching the chin up. Again, though, it can be individual. Different clients need to focus on different things. For example, I agree you should "set the shoulders", however, if i don't agree with actively arching the back. If you ask someone with extension-based back pain to do this, it's very likely they will experience discomfort, there's actually another great video on this somewhere, I think from Eric Cressey. I'm also not too on board with the "slight crunch" at the top. I'm a "chest-to-bar" guy. I didn't fully understand the issue with this. Also, i've had "impingement", which I believe to be a bit of a garbage term, in both shoulders, quite seriously in one, resulting in a partial RC tear and labral fraying. This all happened before I was a chest-to-bar guy, and also before I got strong at pull up variations. Actually, if there's one thought that makes my shoulders ache, it's combining scap elevation with an anterior tilt. About the only thing you can do to pi$$ off your shoulder more is internally rotate it at the same time. I also deal with a lot of people stuck in flexion/forward head posture. The last thing they need is a cue to crunch (although, actually, I use this for the change in direction when coaching rollouts). Anyway, for me, asking a client to do a slight crunch at the top will almost certainly result in an anterior tilt of the scap, and this position has big implications in terms of impingement. It was disappointing, but not surprising, that there was no mention of the rest of the body. Glutes and abs especially. Again, if you look at the body as a collection of single joints, and not one integrated unit, it may be difficult to understand how the position of the hips and lower back can influence the position of the upper back, scap, shoulder, neck, etc. In other words, excessive anterior pelvic tilt will yield excessive lumbar extension which yields excessive thoracic flexion. Straight away you have a nightmare waiting to happen before you've even consider your scap or rotator cuff because you can't achieve optimal alignment or movement of the scap with a flexed thoracic spine and therefore, you will always close up the already limited space in the cuff when in this position. EDIT: One quick google search and I found it. Should of done that first.